Published: Sept. 25, 2016 at 04:05 p.m. 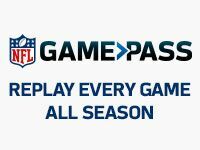 Updated: Sept. 26, 2016 at 11:22 a.m.
We officially have our first player ejected under the NFL's new double unsportsmanlike conduct rule -- and of course Josh Norman had something to do with it. In the fourth quarter of the Redskins' 29-27 victory over the Giants, New York center Weston Richburg laid out Norman at the end of an Odell Beckham catch that set the offense up inside the 10-yard line. Richburg had already received an unsportsmanlike call earlier in the game and was subsequently tossed. Having a Giants player be the first player to earn a two-foul ejection is ironic for several reasons. Not only was the rule thought up in light of the all-out brawl between Beckham and Norman a year ago at MetLife Stadium, but Giants owner John Mara was one of its champions. Richburg seemed to be congratulated by teammates on the sideline, in part because he was sticking up for Beckham. It took roughly three quarters for all hell to break loose in MetLife Stadium but the ejection underlines the bedlam that has ensured in Norman vs. Beckham II. Beckham has been lighting up the Giants sideline, jumping and screaming while several members of the team's coaching staff -- and Eli Manning -- tried to calm him down. Beckham swung his helmet at the kicking net, which then came back and hit Beckham in the head. Another personal foul, this time on Giants safety Andrew Adams, cost the team a blocked punt early in the fourth quarter. Stay tuned, it might get wild.